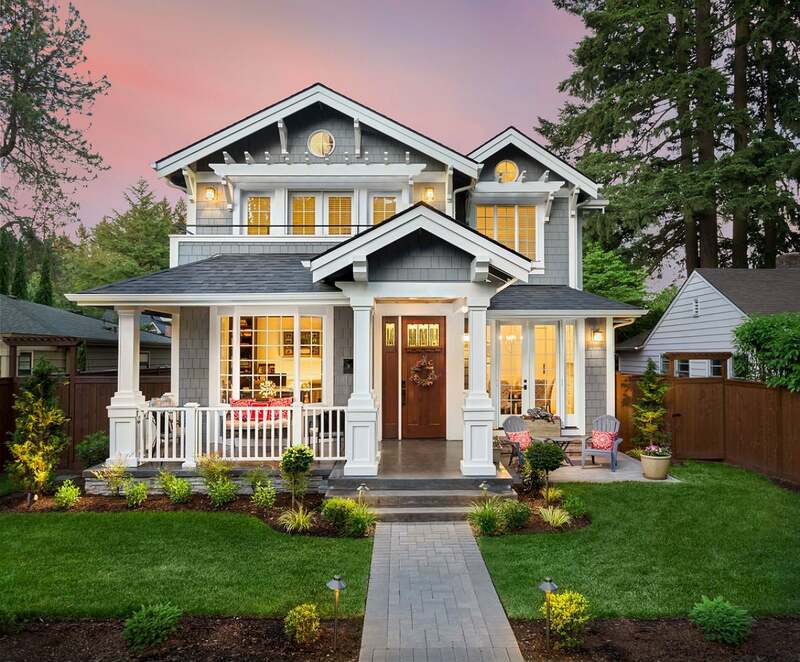 Whether replacements for existing windows or part of new construction, your home’s “eyes” to the outside world involve quite a few decisions to find the right set. Chief among them is the material for the frame and sash of your windows. Currently, two of the most popular manmade materials for windows are vinyl and fiberglass. Vinyl is actually a truncation for polyvinyl chloride (PVC), a type of plastic. Fiberglass has a base of glass that’s melted under very high heat and then pulled into extremely fine fibers, which are woven together. If intended for solid construction, such as window frames, fiberglass is impregnated with various resins so it can be molded into shape. Both fiberglass and vinyl are strong, durable, easy-care, and water-resistant materials that hold up to the elements far better than wood. 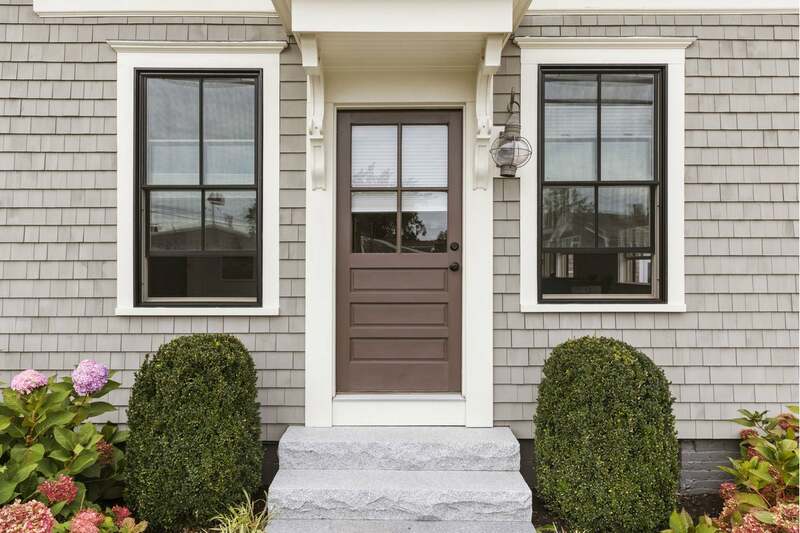 Although it’s still considered the gold standard for window frames and sashes—thanks, mostly, to its lovely, traditional appearance—wood requires considerable maintenance to keep its good looks and prevent wear and tear. If you’re in the process of narrowing down your window options, read on! We’re putting vinyl and fiberglass head to head in the categories most important to homeowners. Here’s how the two stack up. Fiberglass gives a wider range of decorative options. 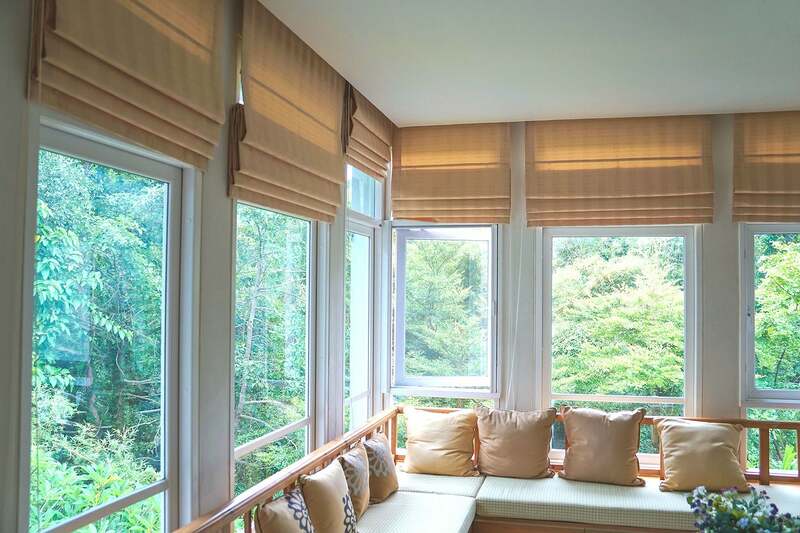 While both materials look similar from a distance, and both can be quite attractive, fiberglass offers more variety in terms of window appearance. Fiberglass frames tend to be slightly thinner than vinyl, leaving more glass exposed—desirable when you want to let as much natural light into a room as possible. And while both materials come in a wide range of colors, fiberglass is paintable and vinyl is not. Finally, fiberglass can be textured to look like real wood, whereas vinyl is generally smooth. Vinyl windows are less expensive. While fiberglass windows are generally slightly less costly than wood, vinyl is usually significantly less expensive than both. Depending on your location and the size and number of your windows, you’ll typically pay anywhere from 10 to 30 percent less for vinyl. That can really add up, considering that the price for replacing a wooden window can be as much as $1,000. Fiberglass is the most durable. Both vinyl and fiberglass tend to outlast wood, as they don’t rot or decay from moisture or insect damage, but fiberglass is the hardiest choice. A high-quality vinyl window will last around 30 years, while its fiberglass counterpart can still be gracing your home more than 50 years after installation. Fiberglass is stronger than vinyl and resists warping and cracking even under prolonged weather extremes. Vinyl expands and contracts with fluctuating temperatures, meaning that in the most severe climates, the seal between the window frame and glass pane can break, greatly reducing the insulating abilities of the window. A handy DIYer can install vinyl windows. If you’re reasonably competent with a power drill, hammer, tape measure, and utility knife, you can install vinyl windows yourself—a savings of between $100 to $200 per window. Because vinyl is slightly flexible, it’s far easier to install than rigid fiberglass; it’s also more forgiving of very slight measurement discrepancies. Plus, you’ll find pre-made vinyl windows in standard sizes at many home improvement centers, whereas fiberglass windows must be ordered from the manufacturer. Note that many manufacturers of fiberglass windows will void the windows’ warranties if not installed by a professional. Fiberglass is more energy efficient. Although both materials are fairly good insulators and adequately control temperature loss or gain through the window, fiberglass does a better job. In fact, fiberglass was created in the 1920s specifically for use as insulation and it’s still commonly used for that purpose today. As a rough rule of thumb, fiberglass windows are as much as 15 percent more energy efficient than vinyl. And thanks to its glass base, fiberglass is very effective at insulating against sound, too—an important consideration if you live near a highway or other noisy area. Compared to wood, which requires periodic sealing, painting, and patching, vinyl and fiberglass windows are virtually care free. If mud, dust, or moss build up on them, simply scrub the grunge away with a sturdy brush or sponge and warm water. 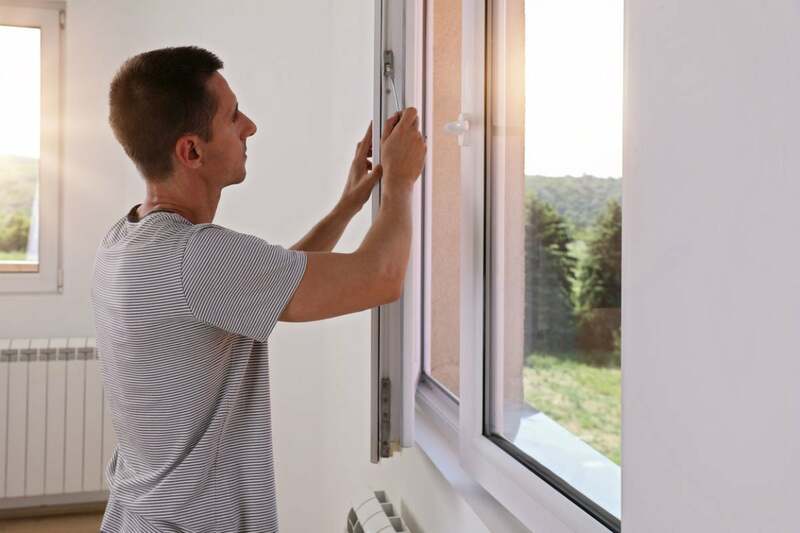 The only caveat is for painted fiberglass windows, which will need repainting when they eventually fade or peel, a strong possibility if you live in an area with extreme temperatures. And if temperature swings cause the seal on vinyl windows to break, you’ll need to caulk them to restore insulating capabilities. Because fiberglass is more energy efficient than vinyl, it reduces energy consumption. And although not easy to recycle, most fiberglass is made from recycled glass, which means less glass in landfills and less need for new glass production. Plus, the manufacture of fiberglass doesn’t release harmful chemicals into the environment, nor will fiberglass windows off-gas or release potentially harmful byproducts should there be a fire in your home. By contrast, vinyl is not easily recyclable, produces harmful chemicals during production, and releases harmful fumes if melted in a fire.